Three cheers for Joe Wilson, a new American hero. First, we had Joe ‘the Plummer’ exposing Obama’s ‘transfer of wealth’ philosophy. Now, we have Joe Wilson exposing a lying health care Obama. There must be something straightforward in the name – Joe. Joe Wilson called B.H Obama a liar to his face in front of the congress and millions of television viewers. If more people would confront B.H. with the truth, maybe he wouldn’t seem like such a puppet for sinister, Un-American ideas. B.H. (Mr. Teleprompter) is surrounded by yes men in communist, socialist, Marxist and fascist costumes. B.H. needed another dose of ‘Joe’. This week’s name calling during B.H.’s speech to congress is reminiscent of the British parliament. The British seem to have a jolly time yelling at each other during legislative activities. Everyone knows that the British are more civilized than we! Using the British example, Joe did a good job shinning light on another shady ‘Obama’ lie. You have to love the expressions on B.H’s., Nancy (say something stupid) Pelosi’s and Joe Biden’s faces when confronted with the truth. They looked as if they got caught with their hands in the cookie jar. Their faces shocked ‘guilty as charged’. These pompous fools have selective memories. Note the times their party acted rowdily to former Presidents Bush and Clinton. 2. B.H. Obama calls Clinton a liar. “We had to figure out how to deal with a former president who was just lying, engaging in bold-faced lies,” Obama told Wolffe. He also boasted about his campaign’s ultimate ability to take on the former president. Joe Wilson acted out what a majority of average citizens were screaming at their televisions that night. B.H. Obama is a ‘bold-faced’ liar. Joe Wilson is right on two counts. No illegal is turned away from hospital emergency rooms today. They are getting excellent health care for knife/gun-shot wounds, runny noses and general aches and pains. A report from the State of California stated among the reasons for multiple hospital closures in the 1990’s was “an increase in non-paying patients”. Amazing how Joe Wilson drew so much attention to the truth. An average Joe’s ideology broke standard ‘decorum’. The democrats will attack Joe with personal insults. The republicans pretend to be critical of Joe. Americans across the U.S. are asking themselves, how about a Joe Wilson, Sarah Palin presidential ticket in 2012? U.S. citizens need some shock politicians to represent all the average Joes! Joe and his people aren’t out to “kill” health care reform. They’re only out to kill Obama’s socialistic takeover of the U.S. health care system. They want reform, but Obama’s socialistic/communistic advisors don’t want tort reform or interstate health care insurance competition. Amazingly, the minions of socialistic health care like B.H. Obama say a government option will increase competition. These progressives don’t know what competition is. Competition in health care is letting insurance companies compete across state lines! Representative Joe Wilson shouted “You lie!” after B.H. Obama denied that his health care proposal would cover illegal immigrants during his health care speech to the Congress. History will vindicate Joe because Obama is lying. B.H.’s “significant details” yet to be worked out will insure illegals health care just like the U.S. public schools must educate them!! Illegals are already being treated in U.S. hospitals and by getting Medicare/Medicaid. Yep! B.H. Obama is lying!!! Maybe B.H. should take note. The average U.S. Joe is who’s keeping this country financially afloat. Joe ‘the Plummer’ and Joe Wilson are expressing their sentiments. Racism is just another theatrical element of politics. Shame on B.H. for using racism to overshadow truth and justice. The average Joe wants truth and justice to prevail. Truth and justice will prevail when citizens VOTB. Vote Out The (lying) Bums: every incumbent, every election. Citizens need more Joes in congress. Visit the VOTB store to spread the idea. A single-payer government monopoly health system (SPGMHS) will lead to a healthier America. It will reintroduce American citizens to their hardy, pioneer roots. The hardy will continue to exist with true ‘survival of the fittest” Darwinian fortitude. Studying other SPGMHSs, gives us a glimpse into future U.S. health care. The pioneers with survive. The dependers will decrease in numbers. Canada’s health care system is on the verge of bankruptcy. Their problems will eventually be the same in the U.S. under SPGMHS. • Budgetary shortfalls in the early 1980’s prompted the federal government to reduce transfer payments to provincial governments, which in turn decreased hospital budgets and reimbursements to physicians . companies may be able to restore some of the funding to the healthcare system . However, this idea is extremely controversial, as many are concerned that privatization will result in inequities in the system. • There are coverage gaps in the healthcare system, particularly for outpatient prescription drugs and home care . financing and jurisdiction, which has resulted in several heated battles in recent years . • Waiting lists for certain elective procedures is a problem for some Canadians . From England’s SPGMHS come health care, horror stories. 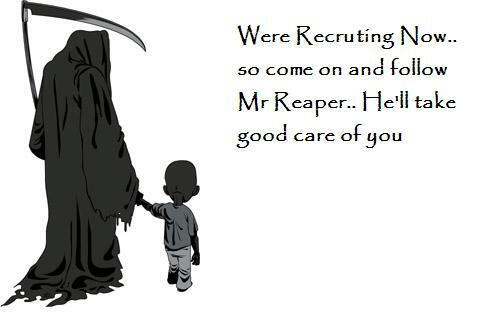 Here are just two web sites explaining the grim reaper facts. Another touted health care system is Cuba’s. Cuba’s SPGMHS uses isolation for HIV and political idea carriers. Where’s Cuba’s version of the ACLU? Long treatment lines, rationing of specific treatments based on age-gender-race-medical history-actuarial charts, no experimental treatments, euthanasia, abortion after birth, etc. are the future of health care for people living in the U.S. (Except for the elite political and corporate class – you know the people who give marching orders to Acorn, unioneers, media types and bloggers.) Under these conditions the hardy, pioneer roots of American citizens will sprout again. The dependers’ roots will dry up in waiting lines. The pioneers will survive for several reasons. They are independent. They accept challenges as positive learning experiences. They are leaders, not followers. They will exemplify Darwin’s ‘survival of the fittest’ principle. The pioneer’s non-dependence of others like government or community organized clubs/websites allows for independent thinking. Pioneer’s critical thinking, problem solving skills will be honed even more when health care rationing begins. For example, health care knowledge has been disseminated into the entire population for several decades. Information on healthy living, disease prevention and early intervention is readily available in books and on the internet. Pioneers can read. Dependers rely on others to read for them. The pioneers will out-live the dependers because government or community organized clubs have no personal interest in any one’s survival. One or two less serfs means less people on the health care roles. That’s a good thing for government! They SAVE money! The dependers are the losers. They assume that government cares. They are of the mindset that others can cure them of anything. That’s why they’re losers. Corrupt politicians running government only care about themselves. Politicians get great health care insurance. Losers get SPGMHS with limited funding and long waiting lines. Losers! Whether it’s overweight, the common cold or HIV, government doesn’t have a personal interest in these losers. It only pretends to – to get their votes. They see dependers as life’s losers. These are the expendable serfs in a feudalistic society. The dependers are lazy, able-bodied people motivated by instant gratification. They can be bought with an I-pod or a couple of meals. They have surrendered to an idea that they view as a cause. This illustration says it all. These lazy dependers mistakenly see health as a right. In reality, health is like respect. It must be earned. Health is earned with common sense, knowledge and independent thought. The dependers like members of Acorn, unions, progressive bloggers and media types have left their pioneer spirit in the birth canal. They must have been born with their hands open, waiting for their first handout! Government’s health care mission is to insure every person in America. What their mission doesn’t say speaks louder. They don’t plan on treating people in a timely manner, curing people, or making health care more accessible at more locations. Government and social clubbers will fail to help dependers live long, healthy lives. The proof is in the pudding. Remember the mission of the Department of Energy (DOE) – founded in 1977? Their mission was to lessen U.S. dependence on foreign oil. Thirty-two years later their budget is 24.2 billion dollars. The DOE has 16,000 federal employees. Ask yourself, you dependers, has the government’s DOE accomplished its mission? Dependers that voted for change are unwilling to change and improve and learn! They think others will take care of them. Pioneers will adapt to obamacare (aka – SPGMHS) and will out-survived dependers. Dependers shorten their life expectancy by their own habits of dependence. They are depending on others like the government, tax paying citizens, unions or community organizations for health care. Acorn, union, welfare receipts, special interest groups are subordinates to the idea of change, even if that change will shorten their own life expectancy. You citizens can wait for evolution to produce the fittest or you can help the process along. VOTB: vote out the bums – every incumbent, every election will accelerate the ‘survival of the fittest’ process. Incumbent politicians aren’t proposing SPGMHS for themselves. These lords and masters of the universe see serfs, when they should be noticing voting citizens. These incumbent politicians are depending on the corrupt voting practices of their community organized groups to get reelected. Pioneers could crush them in the election booths. VOTB can bring about the change American pioneers want and need. Paraphrasing part of an old commercial – “better living through VOTB”. Pass on the VOTB idea. Visit the VOTB store.